I am more than a little shocked at how many people refuse to grasp the fact that television is an entertainment medium, and not real life. This has been evident in the total meltdown of Grey's Anatomy fans after the untimely death of heart throb Derek Shepherd, played by Patrick Dempsey, who was killed in a traffic accident just minutes after he rescued victims of another wreck at the same location. Gotta love the irony! My shock sounds pretty funny even to me. In fact, when I read what I just wrote, I'm a little surprised by it myself. I love television! Admittedly, I'm an addict. 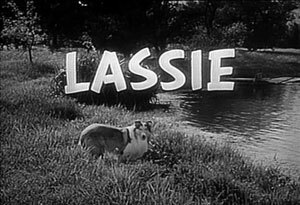 I grew up in the golden era of television, nurtured by the likes of I Love Lucy, the Carol Burnett Show, and my all-time favorite show, Lassie. In addition to animal stories and variety shows, and daytime drama, I was always drawn to medical/emergency shows like ER, Rescue 8, Emergency, Trauma, and so many others over the years. It is no wonder that I have watched Grey's Anatomy since the day it started. I too get emotionally invested in my television viewing. I don't miss a single line of dialogue, when a favorite character is on screen. As a writer, I know how important every word can be as a plot twists and turns throughout the story. Every word is a contribution. I love a good story! When the writing is good, and in Grey's case it is far better than good, I empathize with the characters. I feel I know the people I see each week. I too was shocked by the death of this beloved character I had watched for 11 seasons. But life goes on in television, as it does in life. Ironically, in a television drama, the closer it is to real life, the better the show. If there is anything I despise, it is the 'all feel good all the time' model that television has been dabbling in for too long. Television is basically fantasy that mirrors real life. Something is terribly lost however when fantasy mirrors just more fantasy. The realism is the draw for me. I really hate all the dark fantasy that is filling the airwaves, but that is another blog post entirely. So basically, instead of hating Shonda Rhimes, the brilliant creator/writer of Grey's Anatomy, I give her props. The outrage by fans merely serves to validate Rhimes' work. The hatefulness being expressed toward her is, in many ways, better than an winning an Emmy. Writers want to engage their audience. Rhimes certainly has done that. And, she has done it very well. To the outraged fans who say they will never watch Grey's Anatomy again, I don't believe you. Who doesn't want to see how the doctors and nurses of Grey/Sloan Memorial Hospital fill the void left in their hearts by the loss of their beloved friend and colleague? Kudos Shonda Rhimes. I can't wait to watch what you are thinking.